How can i shoot 2D ball/bounce of wall using Raycast? Hello fellow traveler, i am trying to shoot a ball and be able to bounce of wall and keep going like in Puzzle Bubble/Pool games. With the current code i am able to hit the boxes, i use the Debug.DrawLine for testing, check what i'm hitting and whatnot. Now i am stuck at how i can simulate shooting 1 ball at a time and it being able to bounce of the wall and creating an aim line so i can know where it will hit before shooting like in Pool games. Can it be done using Raycast? If yes, how? Any nudge in the right direction its very much appreciated. 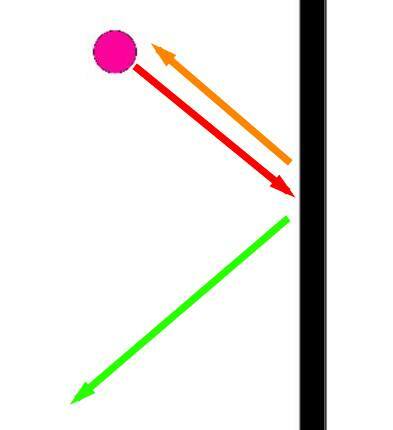 Okay, if i use this method for going at it then how can i make the ball bounce of the wall and hit a specific point where i am aiming? Also this doesn't answer another part of my original question, how can i use Raycast to simulate aiming line, like Puzzle Bubble/Pool table games?